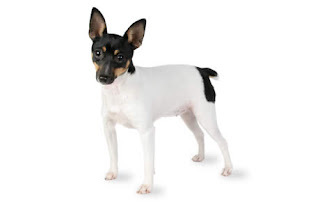 A wonderful combination of both a toy breed and a terrier breed, the Toy Fox Terrier can be a bit like the Napoleon of the dog world: small in stature, but full of confidence. Able to complete a number of tasks just like the Toy Fox Terrier, but coming in a little package, it’s hard to deny that this dog can be one of the most endearing breeds around. After all, it’s rare to find a toy breed so durable, sturdy, and generally outgoing. 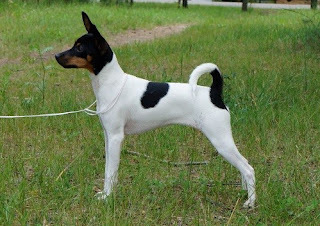 These qualities are a mark of the Toy Fox Terrier’s unique pedigree, which we’ll detail in this overview of the breed. 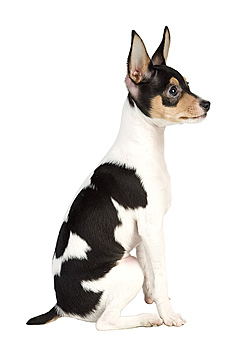 Bred as a means to make the Fox Terrier smaller, the Toy Fox Terrier was created by breeding a standard-sized Fox Terrier with a Chihuahua, Miniature Pinscher, Manchester Terrier and Italian Greyhound. A natural-born hunter, the Toy Fox Terrier enjoys chasing and playing around the yard. Extremely intelligent, this dog can be trained to assist the physically handicapped and as a hearing dog for the deaf. With their thin skin, Toy Fox Terriers like their comforts. Besides cuddling in a lap or snuggling under bedding, they’ll want a sweater to keep them warm whenever they’re exposed to prolonged cool or cold temperatures. A Toy Fox Terrier’s worst qualities are his love of barking and his belief that he’s capable of taking on dogs many times his size. You have to protect him from himself. A TFT’s best quality is his loving nature. He bonds strongly to his family and loves being a lap dog and companion. Toy Fox Terriers don’t like getting wet. Coat appearance: Short, smooth and thick. This small American-bred dog has been around for the better part of a century. He was first known as a little farm dog, whose job it was to clear rats and other small vermin from barns and granaries. 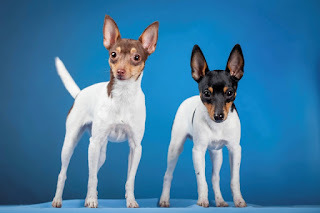 The Toy Fox Terrier was developed by breeding small Smooth Fox Terriers with several toy breeds, including the Chihuahua and Manchester Terrier. Some of the Chihuahua and Manchester Terrier traits did not fit with the type that the developers of the breed were trying to achieve, so after the initial crosses to set the size for the new breed, later breedings involved only smaller Smooth Fox Terriers. The United Kennel Club registered its first Toy Fox Terrier in 1936, but the breed didn’t gain American Kennel Club recognition until 2003. The TFT ranks 99th among the breeds registered by the AKC, and his size and temperament are sure to bring him greater popularity in the future. Intelligent, obedient, willing to work, this is the kind of toy dog that people who really love “working” dogs can still enjoy. It’s small but with the personality of a regular terrier, in many ways, and will even show these instincts by hunting small rodents and pests around the house. Given good discipline, it will be a good companion and willing to obey commands. Because it’s a small dog, be sure to teach children how to handle it and not to be aggressive with it. 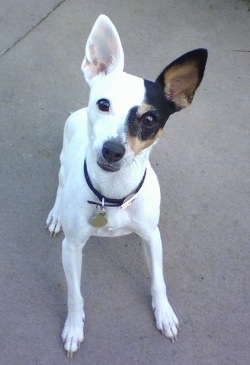 The average life span of the Toy Fox Terrier is 12 to 14 years. Breed health concerns may include Legg-Calve-Perthes disease, patellar luxation and Von Willebrand disease. The Toy Fox Terrier loves a soft warm bed or a lap. Because it is not an outdoor breed, coat care remains simple. It should, however, be provided with a daily exercise routine and sufficient playmates. Fortunately, a small area and some toys make for an excellent playground. The dog tends to bark and dig when it does not get sufficient training, attention, and exercise. The Toy Fox Terrier is good for apartment life. It is very active indoors and will do okay without a yard. It cannot tolerate cold weather. It should wear a coat in the winter to help keep it warm. Toy Fox Terriers are highly trainable and catch on to new behaviors quickly and easily. All you need to train a Toy Fox are treats and lots of excited praise. These tiny dogs don't take kindly to being treated harshly and will mistrust you if you use physical corrections. Luckily, training them is a joy and they are naturally well-behaved, so they hardly ever test a person's patience. 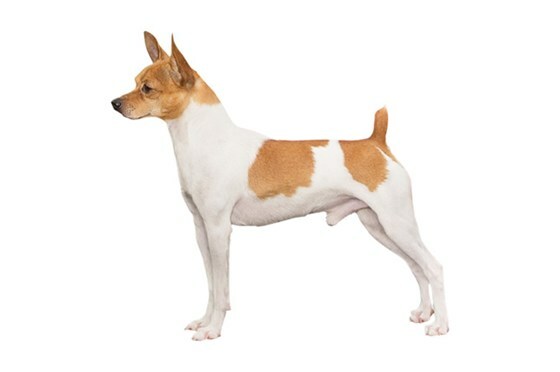 Toy Fox Terriers are a snap to house train, unlike almost every other terrier and toy breed. They are small enough to use pads of canine litter boxes in the house, which is an added benefit for elderly owners or for people who live in apartments or condos. Play is important; a daily walk is, as well, and they love a good yard. Just make sure the yard or area is fenced in, as these little dogs can escape through cracks and holes fairly easily. As they are small dogs, remember that their small strides can mean extra work to keep up with you. All it takes to groom a Toy Fox Terrier is a lick and a promise. Give his short coat a quick brushing once a week and you’re done. Baths are needed only rarely, maybe after he’s rolled in something stinky. He sheds a little, but he’s so small that the amount of hair floating around is manageable. The rest is basic care. Trim the nails as needed, usually every week or two. Small breeds are prone to periodontal disease, so brush the teeth frequently with a vet-approved pet toothpaste for good overall health and fresh breath. A friendly and playful breed, the active Toy Fox Terrier requires a lot of physical and mental stimulation. OK for apartment living, he'll need regular exercise and toys to play with. Doing well with a fenced-in yard of his own, he'll constantly be at the side of his owner. Trained easily and well, he can be taught to learn many new tricks. This dog does better with older children; he may lose patience with younger children who don't know how to handle him. Getting along with cats if raised with them, he's likely to chase smaller animals and vermin. Not a fan of cold weather, he'll need a sweater when venturing outdoors in cooler climates. Toy Fox Terriers are active and agile. They have even been known to climb trees in pursuit of squirrels.